Bring home this Beckoning Bouquet of Bewitching Blossoms for your Best Half and perfume up your soul-tie with her. This Bouquet flaunts 4 heavenly White Lilies and 6 blazing Red Roses. Bring home this Beckoning Bouquet of Bewitching Blossoms for your Best Half and perfume up your soul-tie with her. 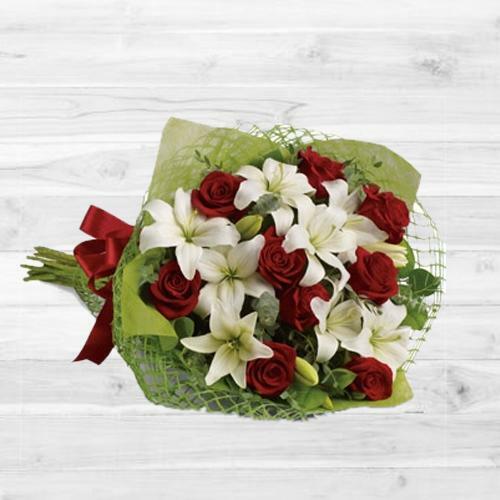 This Bouquet flaunts 6 heavenly White Lilies and 10 blazing Red Roses.